This is a copy of a book review published in Criminal Law and Criminal Justice Books, November 2014. It is also available online from the publisher. This book has a very exciting title for any sociologist of policing and for related scholars hopefully as well. Yet, the title is somewhat misleading, or at least it was to me, and it may not, at first sight, adequately convey the substantive matter addressed in the book. In and of itself, however, this need not imply any serious limitations to this work. So what is this book about? 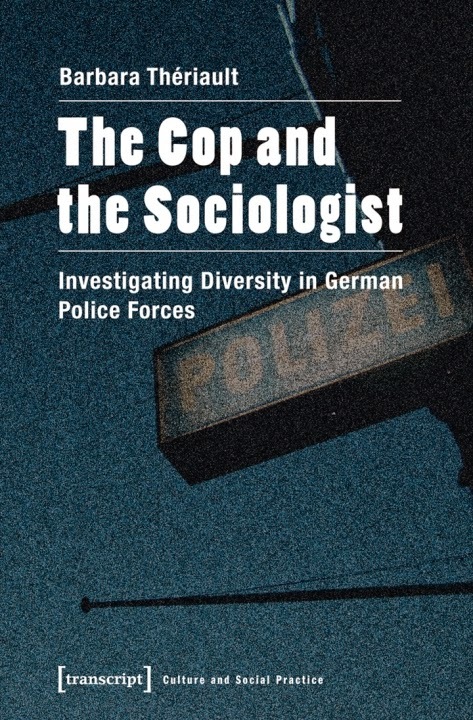 In this work, cultural sociologist and German studies scholar Barbara Thériault reports on her research among the German police concerning the institution’s attempts since the early 1990s to increase diversity among its ranks in terms of ethnicity and nationality, specifically by seeking to recruit German police officers of foreign extraction or non-German origin. Inspired by the need to increase police diversity in order to better do the job of crime control and order maintenance, relevant initiatives were also launched against the background of charges of racism among the police, in turn possibly relating to the broader context of resurgences of xenophobia that have off and on again plagued post-unification Germany. Thériault begins her book by outlining the methodological strategy through which she gained access to the German police and was able to engage in multiple interviews with various members of the police who were, in some form or another, explicitly related to diversity efforts. These interviews also paved the way for related participant observation strategies. Theoretically, Thériault’s study is rooted in Max Weber’s famous sociological principles of interpretive investigation rooted in the German tradition of Verstehen (understanding), seeking to uncover the (subjective) motives of action. But also investigated by Thériault are the (objective) consequences of deliberate actions and the fate that befell individuals engaged in these activities. With this particular mindset applied to her research inquiries, the author reports her findings in selected chapters focusing on certain (ideal) types of police officers involved with diversity-enhancing recruitment. Briefly reviewing these types as reported in the book, the empathetic type is primarily guided by (the motive of) caring for the welfare of others. Because such an attitude is not typically in line with what is generally expected of police in terms of toughness and resolve, this type encounters a fare share of resistance. The next, the principled type, is oriented to a cause that is general, not specifically tied to concrete persons, and sees it as the duty of the police to be committed to diversity, while also upholding meritocracy standards of recruitment and advancement. This type is especially salient in the German case because it involves special concerns to fight any notion of anti-Semitism. An additional form of the principled type conceives of diversity-enhancing work as a profession and a vocation. A third type is made up of the opportunists who articulate through their work self-interested objectives defined in terms of career advancement. Having outlined the major ideal-types involved, author Thériault concludes with some reflections on her sociological position and her understanding of diversity within the context of German culture. These concluding thoughts are presented in the form of a dialogue of the book’s author with others, including fellow sociologists, Germans, and police. These thoughts thereby nicely illustrate a particular characteristic of this book I found most striking: the book is not so much a study of the German police as of the cultural sociologist studying some of their motives and actions. The eye of the sociologist centered on police officers involved with diversity-enhancing programs thus --much more than is usually the case-- turns into the ‘I’ of the book’s author as its main subject matter. To be sure, the study reported in this book is based on an ethnography and, as such, exemplifies many of the characteristics, shortcomings and strengths that are inherent to the methodology, not least of all its inevitably autobiographical nature. However, the strongly subjectivist and oftentimes very obscure style of this book makes it at times very difficult to follow, leaving the reader begging for a more coherent logic of both investigation and presentation. In this context, I must note that it struck me as somewhat odd that a book on a German condition is published by a German publishing company in the English language, but perhaps that is today also an effort at diversity, unless it would be sheer opportunism. In any case, I must conclude with the speculation that the sociologist referred to in the title is the author, not Max Weber. The reasons why ethnicity and nationality in Germany are highly relevant in both the historical and contemporary contexts are too obvious to mention. Any study seeking to unravel the dynamics of this important social issue makes a contribution of considerable significance. Thériault’s work as such presents an audacious effort to reveal some of the mysteries of the puzzle of diversity in the German police. Given the paucity of serious scholarly studies on policing that are not narrowly framed within the technical confines of criminal justice research, it would also have been becoming for Thériault, however, to focus more on the issues of diversity confronted by the German police rather than the sociologist’s understanding thereof from the viewpoint of this or that theory and methodology. Scholarly frameworks and methods, it should not be forgotten, are useful only to the extent that they aid in the illumination of the relevant facts of social life. A resolute embrace of this pragmatic attitude would have served this book well.